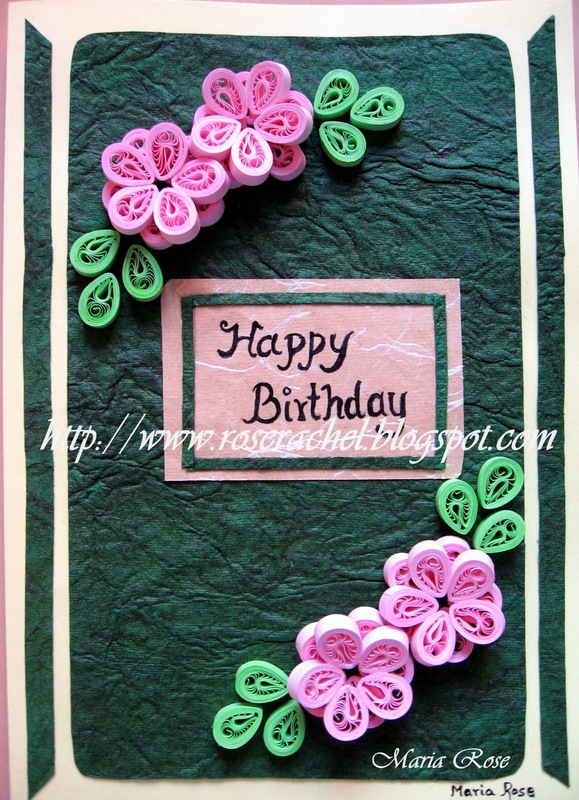 This card was done for my colleague who wants to gift his dear friend. 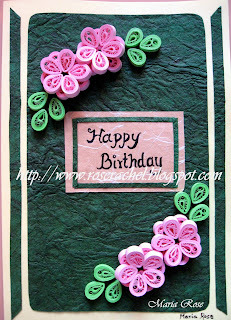 Green color is the fav color of that person so gave Green background using handmade paper ... Also I wanted the card to be simple n elegant... Made this card using Malaysian flower technique..
Hope you like it.. Thnx for stopping by. 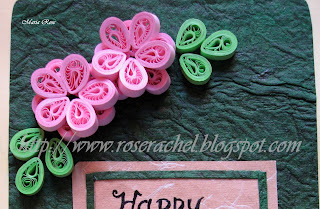 very nice, this shade of pink is so lovely and awesome quilling!! 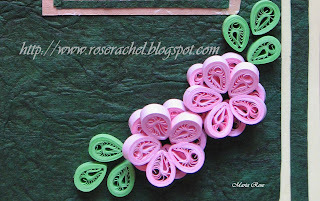 It's simple and elegant, indeed! 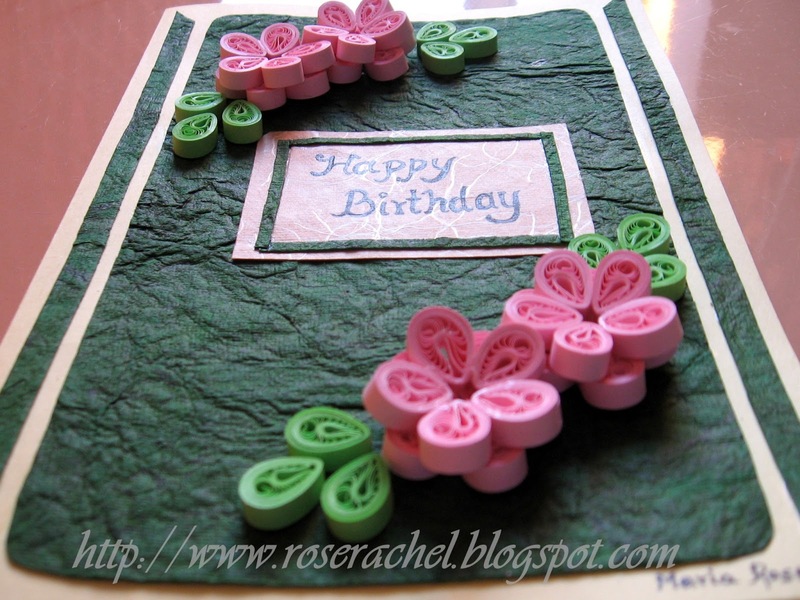 The handmade paper gives it such a nice effect! 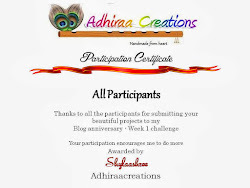 It is a pleasure to pass on a blog award to you. Please check it in my blog and pass it forward. Thank you for giving me so much love and support !!!! 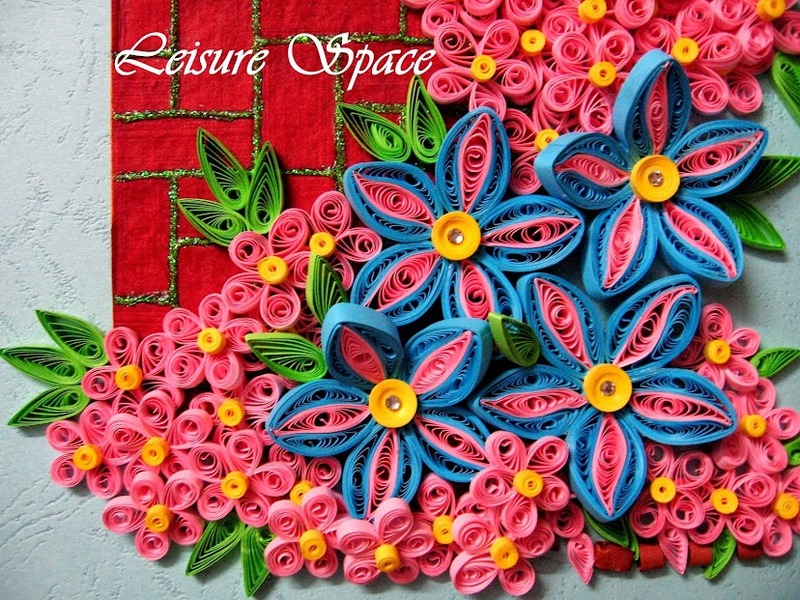 Hi Rose, love the leathery looking backing you have used to create this amazing card.